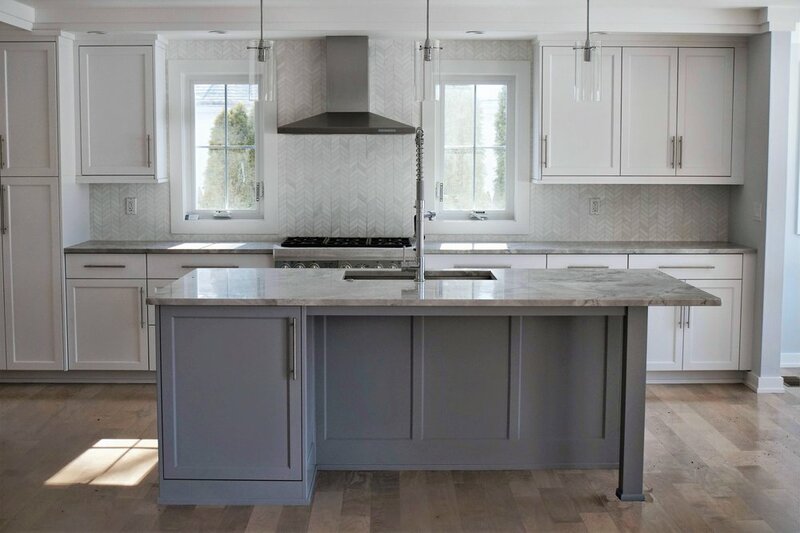 This newly constructed home located in the Riverside area of Greenwich was designed for comfort, convenience and optimal water views. 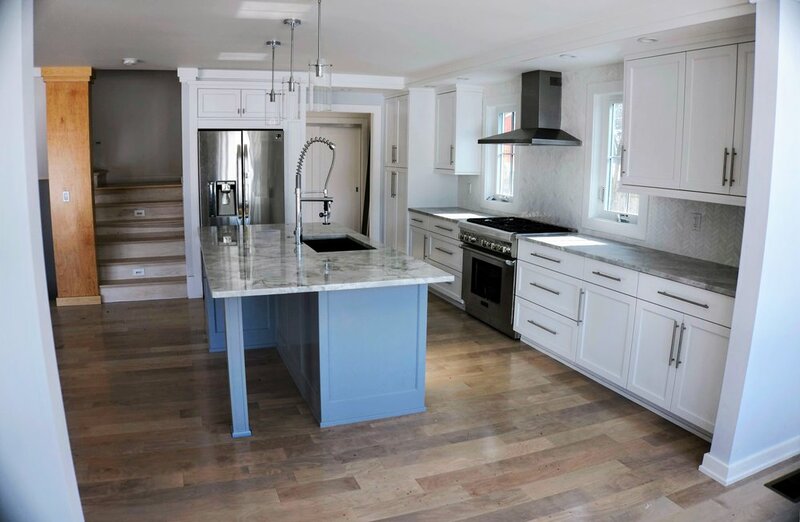 While reusing the property’s existing foundation, the new home was designed with three floors, a finished basement and two car garage to optimize the family’s space. To give the home the “Greenwich touch of luxury”, the home was constructed with a deck on each of the three floors with a backyard view of the Mainus Pond. The third story is dedicated to a home office with windows on three sides with a folding patio door leading to a private terrace. The second floor is fitted with a Master Suite with private terrace. The second floor has two more bedrooms connected by a "Jack and Jill" Bathroom for the family’s two children. 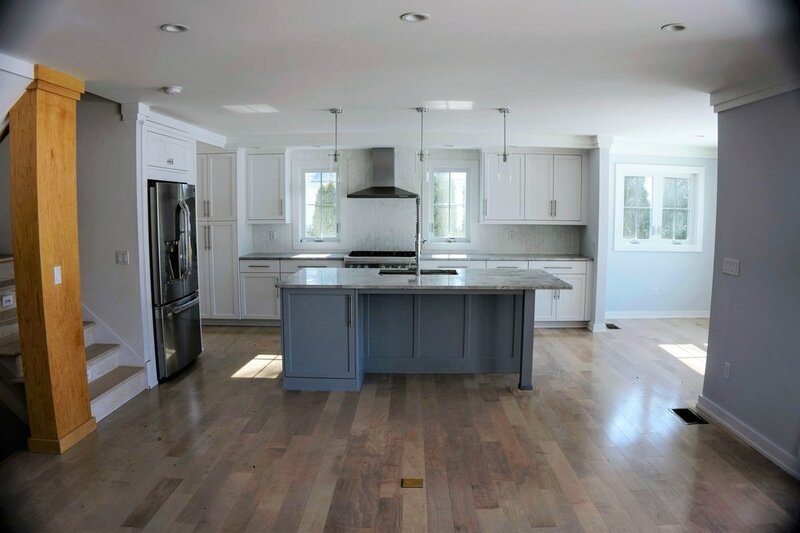 The first floor’s “open floor plan” with the kitchen, breakfast nook, wet bar and family room is the perfect space for holidays and family gatherings.